Recent Occupy activities have questioned the Church of England's values and specifically its relationship with financial moguls and the City of London. Reverend Rob Brown suggests the Church returns to its rural roots and resanctify its relationship with the land: By growing food and living in 'low carbon' community. 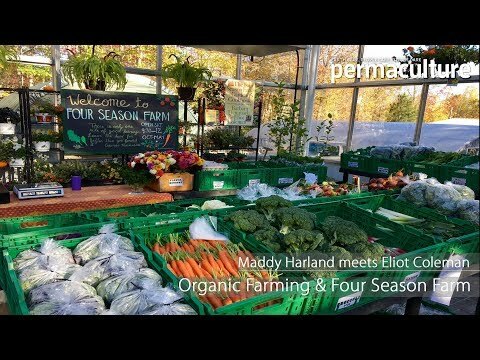 What does 'church' have to do with permaculture? Current agricultural practices are unsustainable. Over 60% of farm net income in England in 2009-10 derived from government subsidies; after adjusting for unpaid work the average farm made a loss of over £8,0001. It takes, on average, 10 calories of fossil energy to put each calorie of food on our plates2. But farm subsidies are being withdrawn and fossil energy is running out. Both will precipitate a crisis in farming. Forestry work only yields a living with the use of huge machines funded by EU grants, again powered by fossil energy. Rural economies have collapsed – my nearest shop is 10 miles away. Public transport is non-existent here – I cannot get a pint of milk or to my GP without driving. Current rural living and industry is completely dependent on fossil energy. The indigenous population is ageing: the average age of farmers in Cumbria is over 60. The need for 'economic efficiency' means many farmers work alone or with a single farm hand, leading to accidents and isolation – they have one of the highest suicide rates in the country. Young people leave the countryside because any available work is hard, dangerous, with very long hours, high stress, no prospects, very little pay, and the housing is unaffordable. New people moving into the area, who drive up the housing market, tend to be professionals. If unemployment, fuel, food, and property prices continue to rise there is likely to be a surge from the cities towards the land, for how else are people to live without money? Yet how will they afford land? The church is not immune either. Large, cold buildings house tiny congregations rarely exceeding 15 in this area, with an average age in the late sixties. The old parish system – each church with its own vicar – has collapsed: in my diocese (Carlisle) priests often look after 7 or more rural parishes. Although hospitality and a strong sense of local community is still important, virtually all parishes' energy goes into fundraising to maintain buildings and paid ministry. Like so much else, money is driving the shape and activity of the church. Is this what the 'Kingdom of God' is meant to look like? The current outlook for the working countryside is therefore bleak. Are tourism and mega-farms the only future on offer? The outgoing Archbishop Rowan Williams has said we must address these issues. But how? And what is the relevance of the church? One possibility derives from the biblical idea that human beings were created by the Trinitarian God, to be his communitarian image in the world, made from the soil and breathed into by his Spirit, living earth. In other words, we are the personal location where earth and heaven meet. As the great Russian Orthodox theologian, Sergei Bulgakov, might have put it, we are spiritualised cosmic dust. Our relationship with the land is thus sacramental. Our calling is to bring creation into communion with God and to be God's blessing on creation. Not its curse. Interestingly, in the first sighting of Jesus after the resurrection in John's Gospel he was 'mistaken' for the Gardener. Or was he? On its east side, facing the coming Christ, is a panel depicting mythical and real creatures of Celtic design gorging themselves on the fat fruit of a vine that scrolls its way up the (stone) tree of salvation. In John's Gospel, Jesus calls himself the vine and us the branches and fruit. This, then, is a picture of the Church on which creation is feasting! On the west side Christ, upheld by wild animals, faces the world and blesses it, calling it to become one with him. On the south side, between the world and the coming Christ, is the earliest sundial in Britain marking the times of daily prayer ('offices'), enveloped in a twin vine – the time of the (praying) Church. The whole offers a cosmic view of the world, with the Church as Christ's agent of blessing for the whole of creation and the Cross at its centre. So how might this look today? In The Rural Church: Towards 20004, Rev Anthony Hodgson advocated, in the context of rural ministry in the Church of England, the establishment of open Christian communities, under the auspices of the bishop, with one or more priests and others in residence, based around a farm, praying the offices three or four times a day. Developing this idea and linking it with the theology of the Bewcastle Cross, a (re)new(ed) vision of the church as a community of the Kingdom of God emerges. Such a community will pray regularly, work sustainably with the land, offer hospitality, be a centre of theological and ecological learning and of permacultural research, and a place of art and beauty. It will grow food and fuel sustainably in concert with creation, respecting the soil and its structure, and utilise the principles of permaculture and agro-ecology, resulting in havens of biodiversity. It will meet people's yearning by offering manual, creative work, food and accommodation, and the opportunity to learn and practice traditional rural crafts, such as spinning, weaving, felt-making, basketry, green-woodworking, hedge-laying, coppicing, beekeeping, aquaculture etc. It will look after its elderly and its young. New buildings will be fashioned from local resources, using wood, straw-bale, cob, and other 'gentle' materials. It will minimise its use of energy, which will be renewable, treat its own sewage and recycle its own wastes back to the land. It will be a gathering place for eating, music, fellowship and spiritual growth. In this way a prayer-grounded, land-based Christian community will become a life-sustaining centre for the surrounding parishes. It will also act as a place of healing and restoration for folk from the cities. Far from being a withdrawal, this is an engagement and an offering back to the world of a sustainable future. One not dependent on large corporations, global markets, banking, exploitation of economic power, fossil fuels, nuclear energy, economic growth, or any other destructive component of modern western society: a way of being a blessing, and not a curse. As Dostoevsky once said, "There is something sacramental in the land, in one's native soil. If you want humanity to be reborn into something better, if you want to make human beings out of creatures that are almost beasts, then give them land and you will achieve your aim." That is the vision. With this in mind, my family and I sold our home and gave up my stipend to try and realise it. Working with the Bishop of Carlisle, the local parish priest, and a growing number of enthusiastic local parishioners we are endeavouring to make it happen. In April 2009 we were temporarily loaned a seven acre field in which to grow food sustainability. Using the principles of permaculture and biodynamic farming we started a forest garden, experimenting with both common and unusual perennial plants, shrubs and trees for food and other uses within a sustainable ecosystem. We planted around 300 hardwood saplings to develop a woodland and shelter belt. We also experimented with growing different types of bulk crop (wheat, oats, barley, and beans) without ploughing or fertilising using the ideas of the Japanese farmer Fukuoka. We grew over a thousand vegetables without digging by planting through a mulch of cardboard and farm manure using dibbers. More than 25 people helped at various stages. Disappointingly the project proved to be short-lived, but the daily prayer continues in the local parish church and many lessons were learnt. Of course there are still difficulties to be overcome: the pressing need for some permanent land in the Bewcastle parish, the finances to purchase it and modify any existing buildings, and finding the right people. But is seems to me that this vision, inspired by the Gospel and the early Saxon-Celtic church has a wholesome and attractive integrity that offers a coherent hope and way of being rural church for the future. 2 DA Pfeiffer; Eating Fossil Fuels: Oil, Food and the Coming Crisis in Agriculture; New Society Publishers, 2006. Thanks and can we visit? Thanks for sharing this Rob. Really enjoyed the concise yet strong overview of rural challenges and then the connection with church and the Kingdom of God. It resonates deeply with myself and my own dream, documented here: www.faithfulfarming.com It is good to keep these conversations open. Thanks and well done!